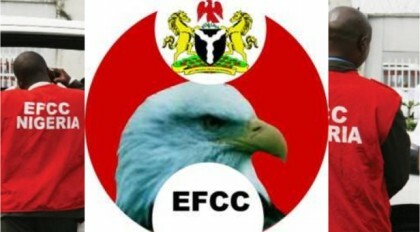 The EFCC, Ibadan Zonal Office, has arrested five suspected undergraduate scammers. Four from the Federal University of Technology Akure, (FUTA) and one from Adekunle Ajashin University, Akungba, (AAUA). They were picked up at an Off- Campus Residence located at Anuoluwapo Close, Stateline Hotel Road, off FUTA South Gate, Akure, Ondo State. They suspects who are between the ages of 20 and 23 include: Adeleke Paul, 21, Adebiyi Tayo Abudu, 22, Akinsanmi Olusola Adeniyi 21, Ogundile Ademola James, 23 and Okali Ugochukwu, 21. The Commission got wind of their activities through series of gathered intelligence. Paul and his co-travelers, who go about with the name Tsunnami Gang and Young Pablo Money allegedly swindled unsuspecting foreigners and others to the tune of Sixteen million naira (N16M) recently by engaging in fraudulent activities of obtaining money by false pretences through scam mails. Paul is a 300 student of Building Technology while James and Olusola are both 400 level students of Agricultural Resources and Mathematics respectively. Okali is a 200 level student of Urban and Regional Planning, while Adebiyi Tayo is a 300 level Student of Mathematics of the Adekunle Ajashin University Akungba, Ondo State. At the point of arrest, EFCC operatives recovered a 2006, black Toyota Highlander with registration number (Lagos) LND 112 EG, 2010 light- green Toyota Camry (Muscle) with registration number (Lagos) AAA 850 EF, laptops, three Apple iPhone 6 and three Blackberry phones from them. They are to be arraigned in court as soon as investigation is completed.